Here we go again, my friends. It’s that time of year where we are waiting for spring and looking for something to celebrate to get through the long days. The first month of the year is over, resolutions abandoned (or maybe not! ), and then, we see it. Hearts filling up the stores, candies on every aisle, cards of all shapes and sizes in all shades of pink and red. And so many flowers, everywhere. Valentine’s Day is coming, and it is one of those holidays that many dread. It often comes with the sense of obligatory restaurant visits and spending money on flowers and cards. It is an essential holiday for consumerism, and I am slightly embarrassed to admit one of my favorite holidays. Even though I don’t agree with spending a lot of money on items to prove my love to someone, I do enjoy the feeling of love in the air, the chance to remind my husband and children that I love them so much (albeit in often very cheesy ways), and to tell my friends how much I love and appreciate them. However, as the years progress, I am learning that consumerism does not always equal love; in fact far from it, especially when buying massed produced items such as chocolate that may not be fair trade or ethically sourced. I also wanted to show my appreciation more by making something for my family. Since I love to cook and bake, this was a no-brainer for me. However, looking at fancy dinners and desserts can be somewhat daunting for the average home cook and the meal can start to feel overwhelming or lackluster due to lack of equipment or availability of certain ingredients. That is why I decided to focus this month on three recipes that have a reputation for being difficult but are actually very simple to make and will be a crowd pleaser for sure. Whether you like to make a special breakfast for the kids in the morning, a nice lunch or dinner for the one you love, or you want to end the meal with a romantic dessert, I’ve got you covered. Just click on the name of the food below and get the link! 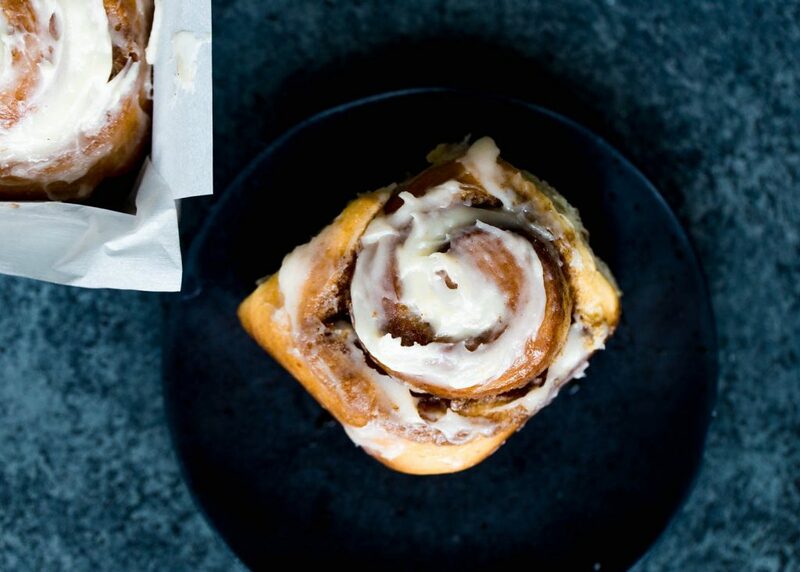 If you want to make them have more of a Valentine’s Day feel, or you don’t really care for cinnamon, omit the filling and instead used strawberry jam. Also be sure to add a little lemon zest into the icing to balance out the sweetness of the jam. Not bad, right? 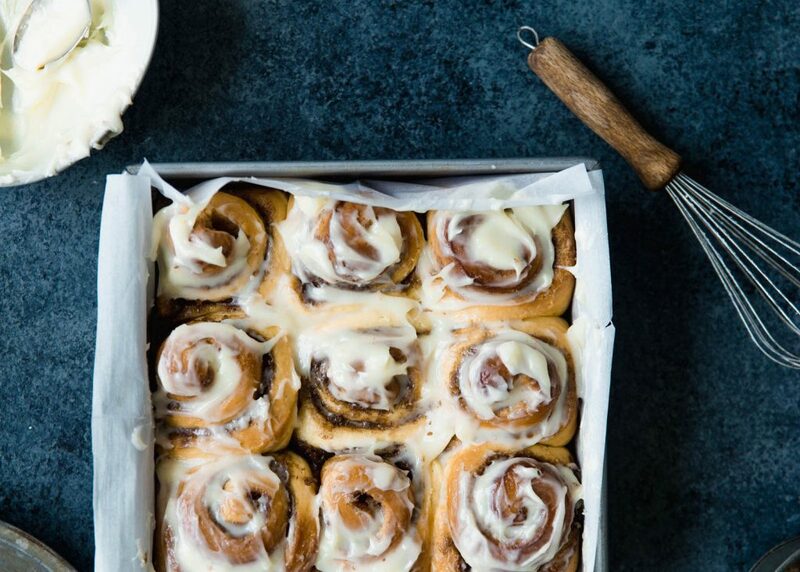 In under an hour you can have a dozen delicious rolls for your family, co-workers, friends, or just for yourself to make it through the week (I won’t tell). Depending on your plans for the day, as it is in the middle of the workweek, this is a great lunch or dinner recipe. 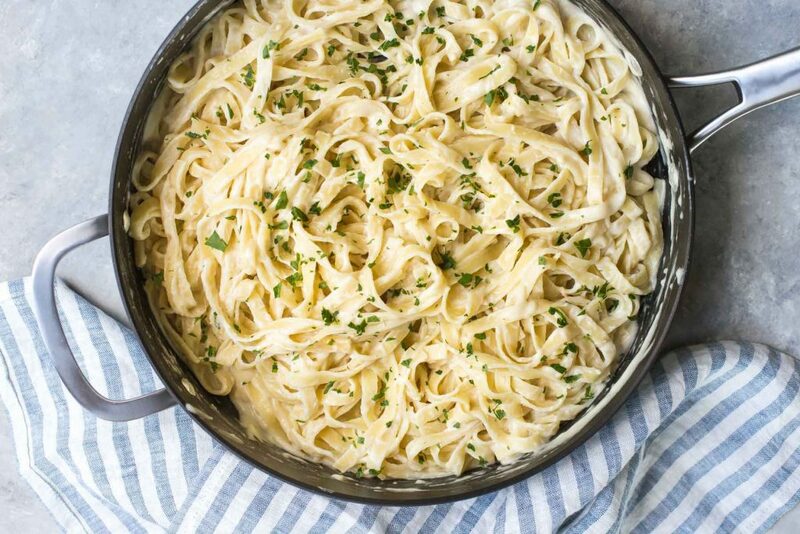 One thing I love about Alfredo is that you can make it with just a few simple ingredients and it tastes way better than the gloopy stuff out of the jar. Many people find sauces to be daunting but with the right recipe and ingredients, they are really quite simple and make you seem like a pro in the kitchen. This recipe can easily be amended to add chicken, broccoli, peas, or any fresh vegetable you like. Serve with some warm French bread smothered in garlic butter and a fresh salad for the perfect candlelit dinner. The key to this sauce is to make sure you use shallots and do not substitute the heavy cream! Serve on lovely plates like these to complete the Valentine’s Day theme. Ok, I know this is the big one. How many times have we watched a cooking show where someone is told they have to make soufflé and they immediately shudder and proceed to be in a state of anxiety for an hour, tip-toeing around the kitchen, staring into the oven with fear and anticipation? So why on earth would I say that you could easily whip up a soufflé and impress your special someone? Because you can! I have made this recipe twice now with beautiful results, both in small cups like the one pictured and larger ones. To make it more decadent, drizzle some caramel sauce on top and sprinkle with sea salt. To cut down on the richness of the chocolate, boil some fresh or frozen raspberries in a pot with ¼ c water and 2 tablespoons of sugar until the raspberries burst. Strain the liquid through a fine sieve and allow to cool. Voila, you have a nice raspberry sauce to pour over. 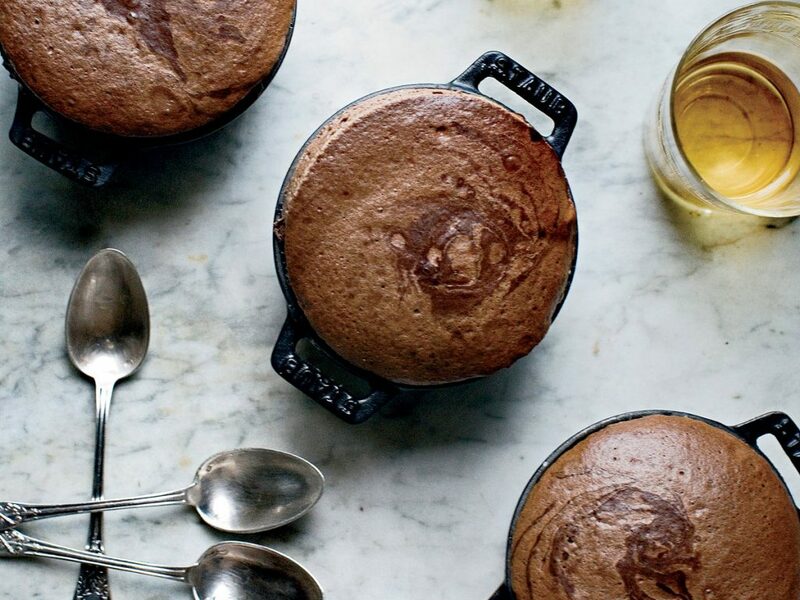 Trust me, you can make a soufflé and you will be so glad you did once you bite into this rich and airy dessert. Serve with coffee like this one here to end the night on a perfect note. 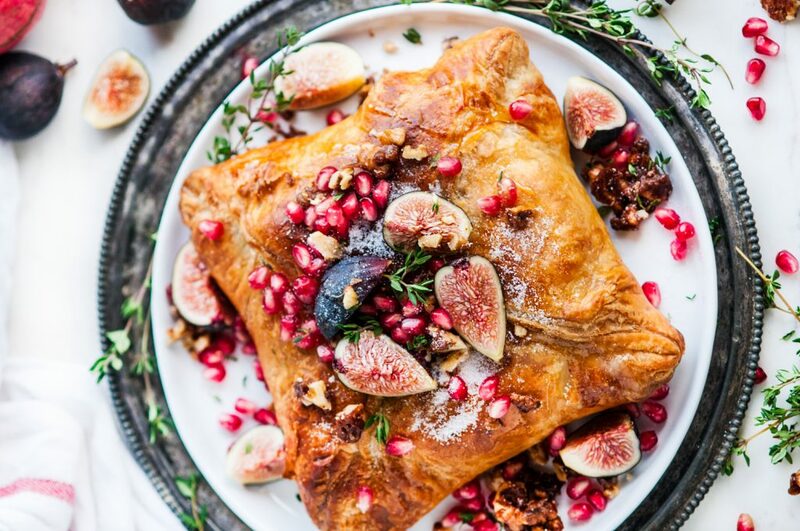 Last but not least, how about a golden, flaky pastry plus warm, gooey brie, plus bright, juicy pomegranate seeds and ripe figs? Yes, please! It’s almost too pretty to eat, but really, how could you resist digging in? Oh, and there are candied walnuts too. If you still feel the need to buy something on Valentine’s Day, why not considered some fair trade chocolate this year and a nice handmade card you can feel extra good about knowing it also helps others create fair and safe businesses? Check out even more sustainable and fair trade gift ideas from GlobeIn. Bonus: the Valentine’s section is 14% off with code BEMINE. Let us know in the comments if you try any of these recipes and how they turn out! 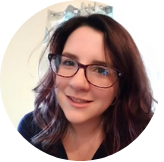 Laura is a doctoral candidate and resident in counseling in the state of Virginia. She spends her free time blogging and baking desserts for her husband and four children. Previous Post February Artisan Fund: Announced!